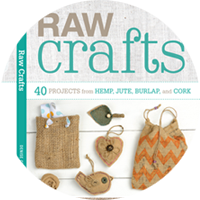 I'm trying to clean house these days especially when it comes to fabric. Holy smokes I have quite the pile to get through. But I couldn't resist this already felted gorgeous grey wool sweater. 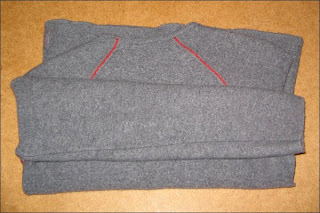 It's a large A|X Armani Exchange that was obviously mistakenly felted since it looked more like a children's sweater. It was $4 at the Salvation Army. I decided to cut it up this weekend and utilize the red stripe in my design. I thought it would be perfect for baby booties so I re-jigged the pattern I've been using to make cozy little slippers. 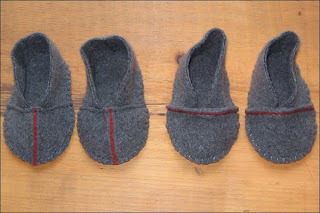 Here are a couple of beta slippers I quickly put together with a snazzy buttonhole stitch. I might add some sort of fastener along the top to ensure they stay on. 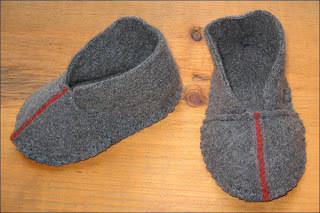 Now I just need to do some product testing then I'll make some more... Next I really need to find an easy pattern for making slippers for grown ups out of recycled sweaters. That would be kewl!